Symbolab's "getting started" series is moving on to help you solve high school level algebra and calculus. 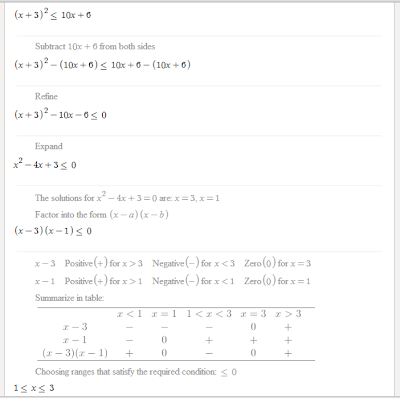 First up is solving high school level inequalities; that is quadratic inequalities and inequalities involving algebraic fractions. 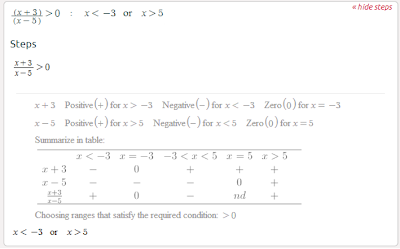 This is a lot like solving simple inequalities (See Middle School Inequalities post here). Just like with simple inequalities we start by solving the equation and same as before, we are looking for intervals rather than points. So what’s the catch? If you remember, we can’t simply multiply or divide by algebraic factors (multiplying or dividing by negative values reverse the inequality). Now the two intercepts split the x-axis into three intervals, we have to test the conditions for each. 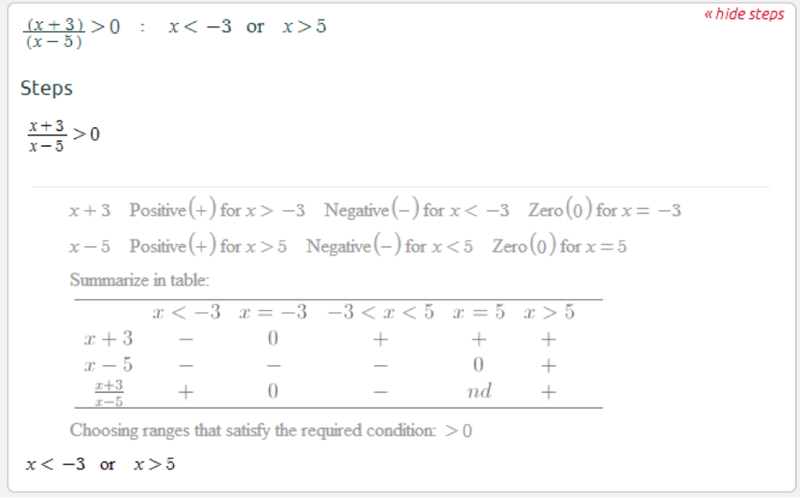 Finally we have to find the intervals that satisfy the condition. 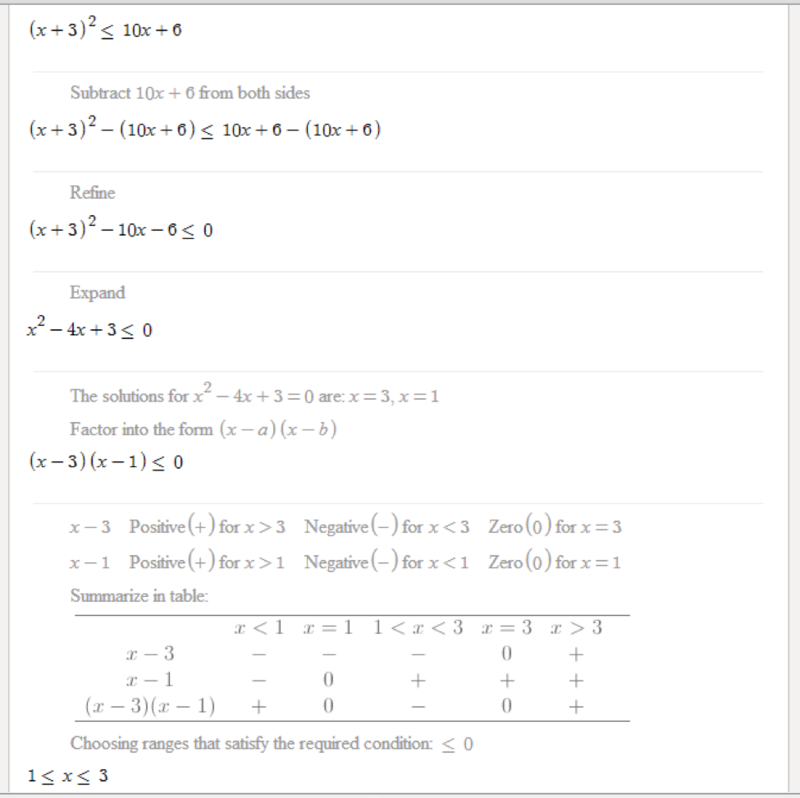 By a first look it seems to solve absolute values inequalities as well, which is great! This type of the calculation I have seen the first time and you calculate this problem so wonderfully. This is the specialty of you about http://ninjaessay.com that you share this information with the students and it is really helping material. You solve my problem and you did a good job. This sort of the count I have seen the first run through and you ascertain this issue so superbly. But only few teachers can teach you math in well manner. You have defined it in such a cool way because it is so much difficult question If you complete this question using easier procedures. This kind of the tally I have overseen the principal run and you find out this issue so radiantly. Be that as it may, just couple of instructors can train you math in well way. Analysts are keys almost always former analyser , it’s the play-by-play classroom guys that are original broadcasters in the regular deep sense, Cheap Essays , you can be a implanted a mass communications major subject in college, but the my opinion is best idea is to you have to go out to your college games.